A lush, deep green lawn in summer is a delight, especially with bare toes and the occasional water fight. Achieving a healthy lawn does not require commercially prepared concoctions that may remove green from your wallet; instead, keep both your wallet and your lawn green with home remedies to prevent common problems before they start. The best way to prevent or cure many lawn maladies is to simply cut down on the cutting. A healthy lawn should be kept 3 inches high. The grass blade feeds the whole plant; constant trimming the lawn to shorter lengths will stress the lawn and invite weeds or pests to move in. Thicker lawns also prevent sunlight from reaching weed seeds, are healthy enough to survive occasional pests and are better for those bare toes. You can control many lawn weeds through mowing high, because cutting the weeds will eventually starve the plant and prevent it from reseeding. Never mow a wet lawn; the blades will not cut cleanly, and the ragged edges become unattractive, frayed, brown tips. 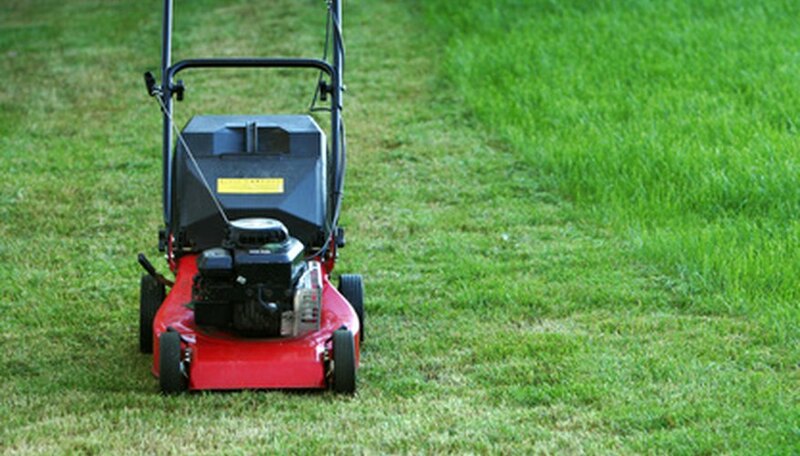 After mowing, unless the grass was unusually high or thick, leave the clippings on the lawn. They will break down and return nutrients to the soil, simultaneously creating a small mulch layer to retain moisture. This layer is not thatch; thatch is created from the dried roots and stems of a grass, not the fallen clippings. Always removing the grass clippings will eventually create hard, nutrient-starved soil, stressing any lawn, but encouraging weeds and pests. If the clippings are too thick, spread or remove them to compost in another area. The only time you should water a lawn lightly is after an application of fertilizer. Otherwise, brief, frequent watering only encourages shallow roots, and a lawn with a shallow root system will be stressed by both hot and cold weather and will not be able to outcompete deeply rooting weeds. Water deeply and infrequently, according to the needs of the grass and the type of soil. Be aware that different soils will allow water to penetrate at different rates: 1 inch of water will sink roughly 1 foot deep in sandy soil, 7 inches deep in average soil, and 4 inches deep in clay. To water 12 inches deep in clay soils, then, may require 3 inches of water. 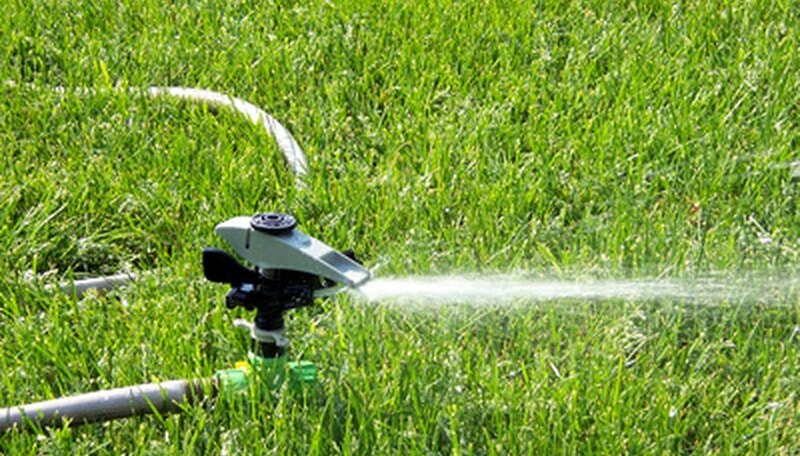 Determine how much water emits from a sprinkler by setting containers out at various distances from the sprinkler, and measure the amounts after an average watering. If a lawn still seems stressed, sink a long screwdriver into the lawn and withdraw it--if the tip of the screwdriver is still dry, then the lawn may need additional water. A deeply watered lawn with healthy roots will not need water for many days, even in summer, and will reward you with cool, lush growth. Many inorganic lawn fertilizers recommend applications every few weeks. 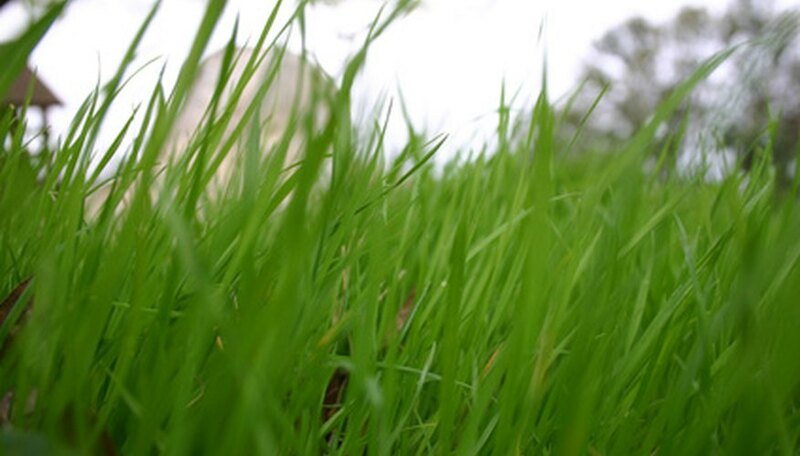 Grasses love the high nitrogen in most lawn fertilizers, and will respond with bright green growth. However, this high dose of nitrogen is like sugar; a temporary rush of energy that cannot be sustained. The other ingredients in inorganic fertilizers encourage root growth and often include an herbicide, but these are not a replacement for good, nutrient-rich soil. 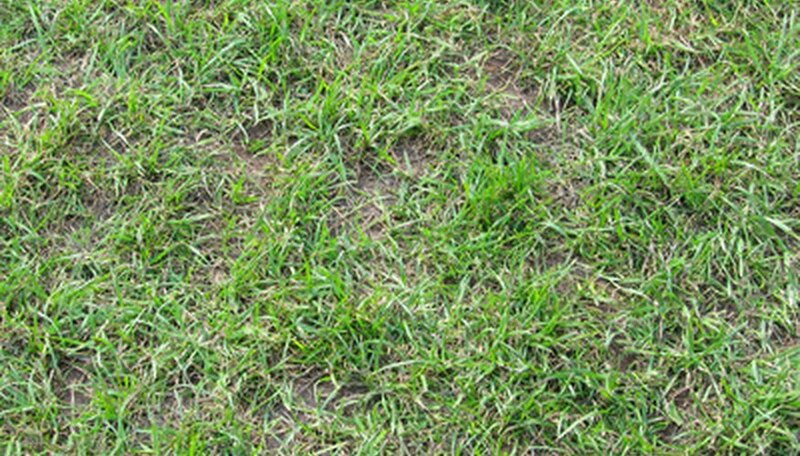 Where inorganic fertilizers temporarily feed the grass, compost improves the soil, which then can feed the grass over a longer time. Composting, which is simply recycling leaves, extra grass clippings, table scraps, sawdust or annual plants into a rich soil amendment, is a great way to make fertilizer at home. Composting can be done in piles, homemade bins or factory-made containers, but the end result is the same; a high-quality, slow-release fertilizer. 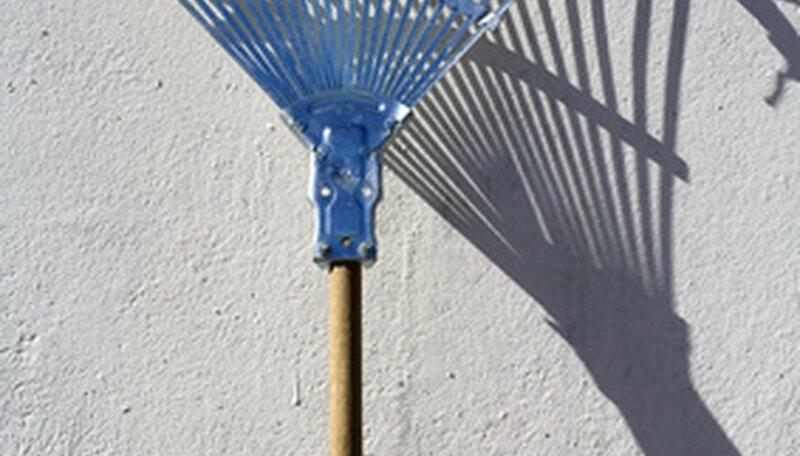 Raking the finished compost in a thin layer, 1/2 inch deep, across the lawn in autumn will reward you and your lawn with healthy spring growth and a carefree summer.